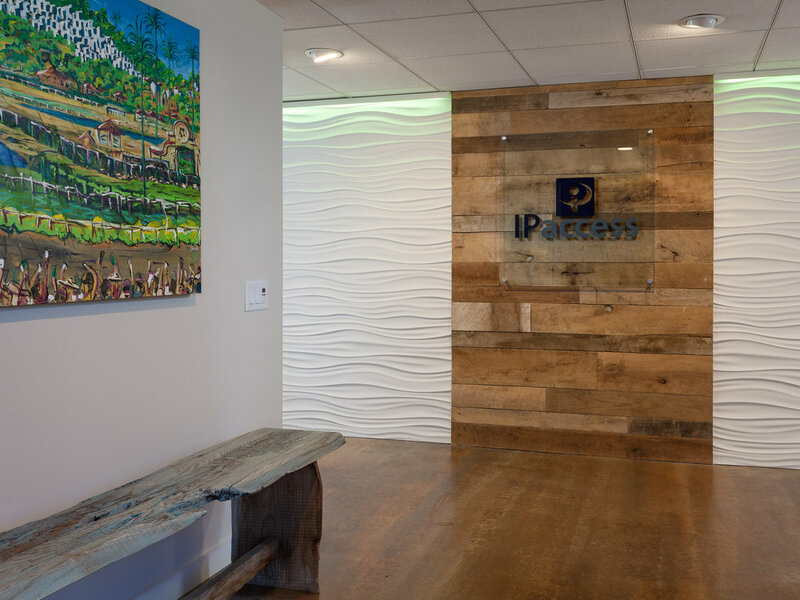 We were hired by the owner of IP Access to remodel their entire corporate office space. They are a tech company and wanted a modern design element with a touch of San Juan Capistrano’s historic cowboy touches. 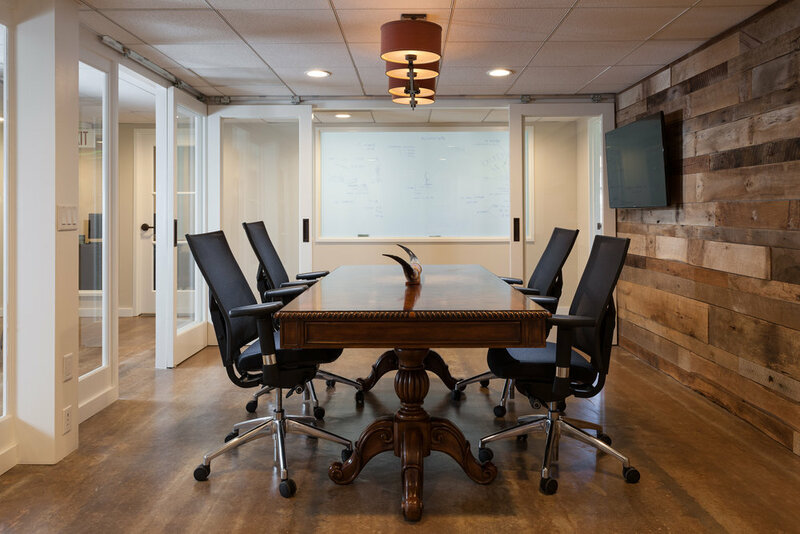 We mixed rustic and modern to create a modern casual atmosphere for the office. This included a unique conference room design that allowed the room to be closed and opened to maximize its use within the office. We also created a kitchen and lounge for the employees to enjoy. We worked alongside the General Contractor, overseeing all of the construction as well as sourcing all furnishing, finishes and equipment.